Payment industry is unpredictable and changes in its trends happen at an unprecedented rate. Evolving technologies are one of the main reasons behind these sudden shifts. However, change in customer behavior and expectations are also the key players. While this results in challenges for the credit unions, it does open up a bag of opportunities. As 2019 is not far, let us talk about the 7 trends that are must to be considered by the credit union. At the moment, post-Millennial generation covers 74 million and would surpass Millennials and Baby Boomers, being the largest demographic in America, by 2020. So, what are the expectations of Generation Z from the financial institutions? Well, intact security, P2P and personalized data-driven experiences are their major concerns. Furthermore, they are money-conscious, which gets confirmed by the fact that about 12% of this young generation below 18 years has started saving for their retirement years. Owing to this, a whole new universe of new products for such valuable members would make its steps. These products will help to connect with them way better. Despite lagging behind in terms of expectations, mobile payments have a bright future, all thanks to mobile experience turning secure and integrated. With increased number of banking providers and financial technology companies building integrated mobile applications and services, usage in mobile payments is unstoppable. This will cause remarkable shift towards the digital experience. 2018 survey from Adobe and Econsultancy has found that approximately 61% insurance and financial services companies have switched to AI for the purpose of data analysis. Though AI has become the next big thing already, rapid growth in it would be witnessed in 2019. Another or say better way to describe this is payments “non-experience.” Looking at the pace at which innovation in payment is taking place, it won’t be wrong to say that frictionless payments will turn quite common. No matter the store is cashierless or payment can be done without going anywhere out, payment experiences coupled with advancement will become reality. Alternative payments, such as P2P, wearables, contactless and connected commerce have enjoyed exceptional expansion and would further change the meaning of payments. Apart from this, alternative financing would break out too. Even after being competitors, financial institutions and FinTech companies are expected to work in collaboration. Talking about the FinTech startup organizations, they draw agility and the way to deploy technology. On the other hand, financial institutions offer resources and intellect that has been polished over decades. Established financial institutions utilize their experience for security and significance in this modern digital world, where 30% of Millennials have stated not requiring a bank in the coming five years. This sounds even true for the credit unions because they have upper hand in stable member relationships & trust and this is considered crucial for FinTech companies. Balance between credit unions and technology organizations may let everyone think why they were even trying to operate without each other. Digital revolution that changed hospitality, transportation, retail, video and music is moving to financial services. Industries with flourishing growth are the ones that are able to build an integrated ecosystem. As far as credit unions are there, this means making the members touchpoint and the channel secure, integrated and seamless with data serving like a connective tissue. 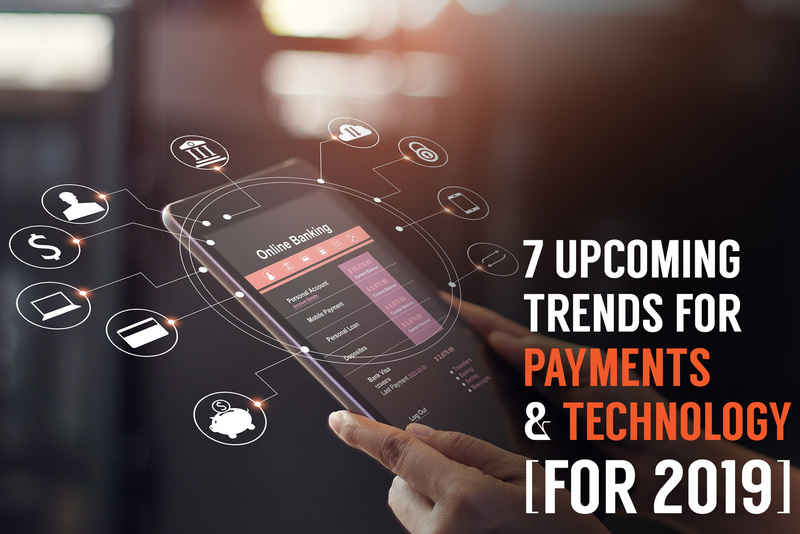 So, these 7 trends are on the future cards of payment and technology for the year 2019. Prepare yourself to experience them, as advancement is all set to make its noise.